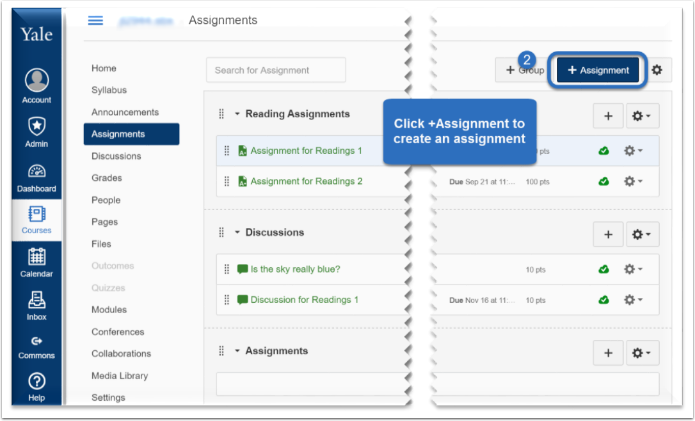 Canvas @ YaleInstructor Guides AssignmentsHow do I create Assignments? 1. Select Assignments from the Course Menu. 2. 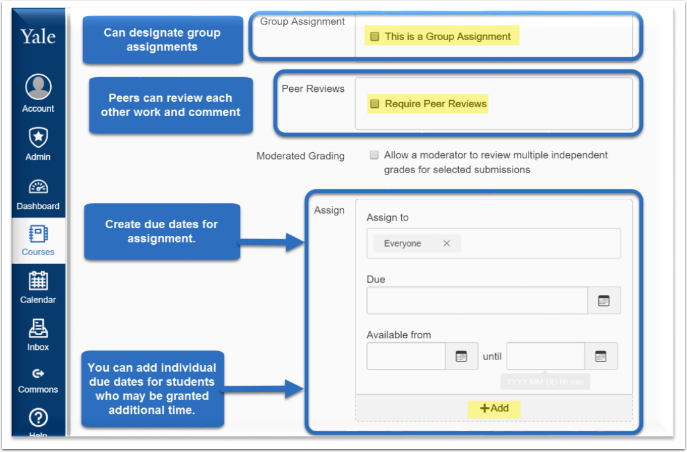 Click on +Assignment on the right hand side to create a new assignment. 4. 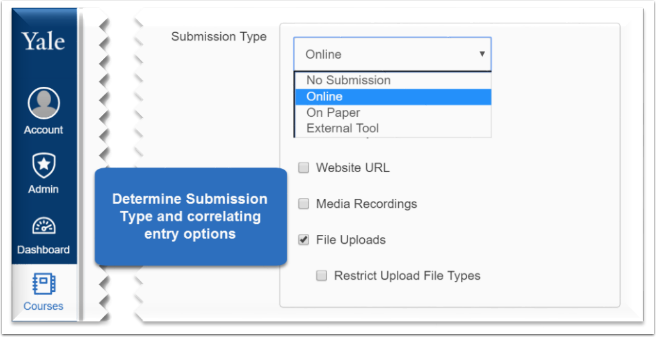 Write your Assignment within the content editor. 5. If you would like to attach files, you can select the file from this menu. 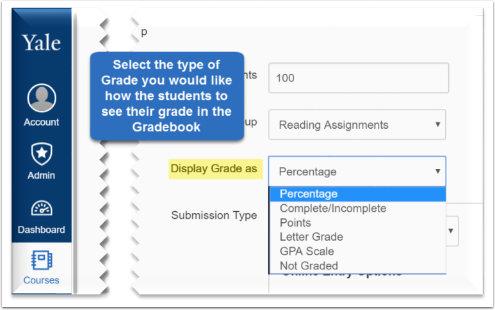 Note: Unlike Classes*v2, if you would like a column to appear within your Gradebook, you will need to create an assignment (even for ungraded assignments).